Convents in Spain were famous for the delicate sweets that were produced within its walls. Nun's Sighs or "Suspiros de Monja" is an example of these traditional desserts. They are golden and crispy on the outside and rich and creamy on the inside. 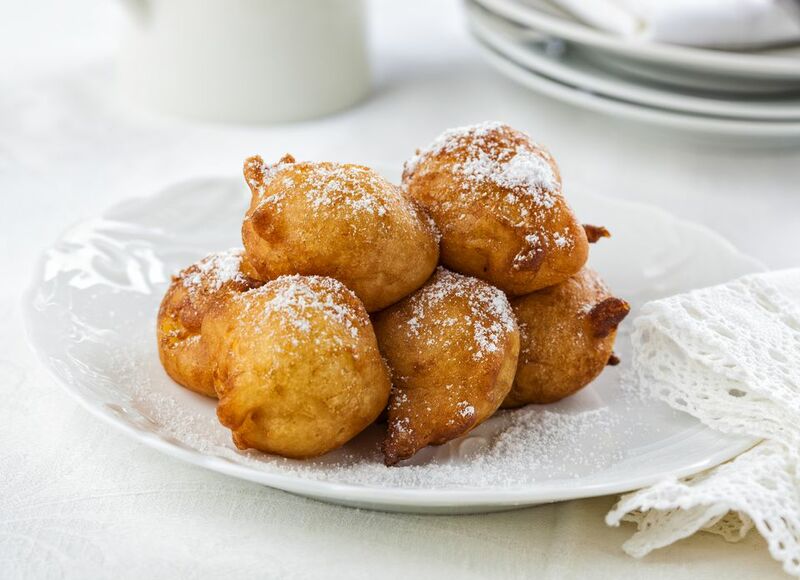 A thick batter is prepared and spoonfuls are fried, then sprinkled with powdered sugar or candied fruit. Place butter, sugar, lemon peel, and water in large pot. Heat on medium-high and stir constantly with a wooden spoon until sugar dissolves. As soon as the water boils, remove and discard the lemon peel. While continuing to stir, add the flour little by little. Reduce heat and cook until the batter easily comes away from the pan. Pour 1 inch of olive oil into a large frying pan and heat on medium. When the oil is hot, drop dollops of batter into hot oil using a large spoon. Fry on both sides until golden. Be careful to control the heat, so the suspiros do not burn. Remove and allow to drain on a paper towel. Sprinkle the suspiros with powdered sugar and optionally decorate with candied fruit. If the spoonfuls are too big, the suspiros will be very thick. If that happens, the middle will not cook, while the outside will be golden brown and crispy.